For those who believe the allegations of Dr. Christine Blasey Ford that she had been sexually assaulted by the future Supreme Court Judge Brett Kavanaugh and his his friend Mark Judge while they were in high school, then you know other evidence and pertinent witnesses will be coming into the limelight. “Koegler goes on in his letter to defend Dr. Ford’s integrity and states that he believes her with “every fiber of [his] being”. “Koegler then takes aim at the FBI investigation of the allegations against Kavanaugh, implying that they were a sham by saying that the fact that neither Kavanaugh or Ford were interviewed in the process, which Republicans called “thorough”, is “absurd”. Please Google until I figure out why the link tool isn’t working: Keith Koegler Releases Significant Evidence Corroborating Dr. Ford’s Claims. A cultural moment that will not be forgotten at the polls. By now, both of you can guess, I’ve been giving this debacle a lot of thought as you have. But I am looking at this a little differently. The GOP Grumpy Old Perverts in the US Senate and the White House are convinced they won but they have not thought about the consequences. Because many of these guys are friends with Judge Kavanaugh, they think that they are right in thinking that they helped a good man from being unfairly maligned. 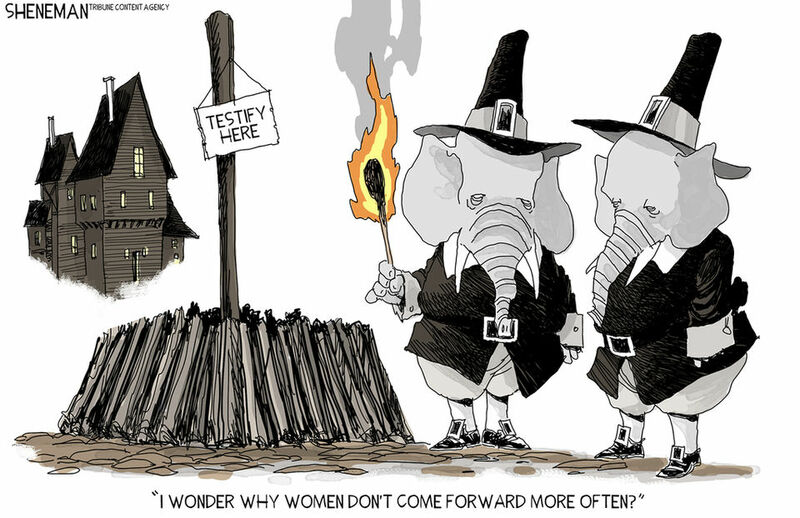 But they never considered the possibility that the accusing women are telling the truth. If we are right, the truth will eventually come forth. How will they explain their backing the wrong horse? In summary, if you believe Dr. Ford, Debbie Ramirez and others, get out and vote in November and take others with you. We lost a battle but we did not lose the war. There’s no doubt I will be out in an effort to get this country back. IT’s amazing that so many evangelical Christian women are saying they don’t care if K committed sexual assault they still want him on the SC. They have lost the right to call themselves Christians (I think that BS anyway). What are women thinking, what is Susan Collins Thinking, they are thinking party, Trump, forcing their will on the majority, not about the the good of the country. Kavanaugh has a mission or he would have dropped out and let a different conservative judge be nominated to avoid the ripping apart of this country, but he has to help Trump, that is his mission. Well, I disagree on one important point, These old geezers don’t care for a second if Kananaugh is innocent or guilty. It’s all about ruling power. These women who support this process are traitors to their own gender and to justice. I’m not saying K is guilty. 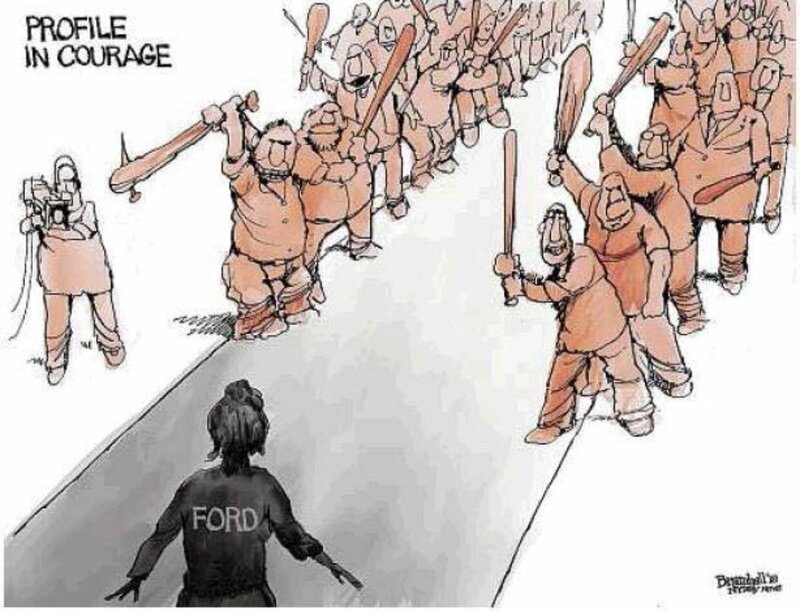 Though based in what little they’ve allowed us to know I believe Prof Ford. Regardless this man has shown he lacks the requisites for the Supreme Court in his demeanor and impartiality, he’s unfit and they know it. Those Grumpy Old Perverts GOP don’t give a damn but they will, starting on 6th of Nov. 2018. Further proof that the FBI’s “supplemental investigation” was a farce before it even began. I am thinking that those Evangelical’s victory will be short lived. The GOP won this skirmish but they will lose the war. There should be a banner/ ad..If you believe Dr. Ford and others, get out and vote. The point is that those GOP Grumpy Old Perverts in the US Senate think they helped a good man from being falsely maligned. What happens when there is proof developed indicating that Dr. Ford was the one telling the truth; and that they backed the wrong horse. Frankly, I found Dr. Ford to be very credible.